A nicely designed example of anthropomorphic fashion, 汇(HUI) is an interactive garment that takes its visual and behavioral cues from the hedgehog (It’s name as well). Created by artist Yougsil Lee, the garment, in its normal, relaxed state, gently pulses with white light. 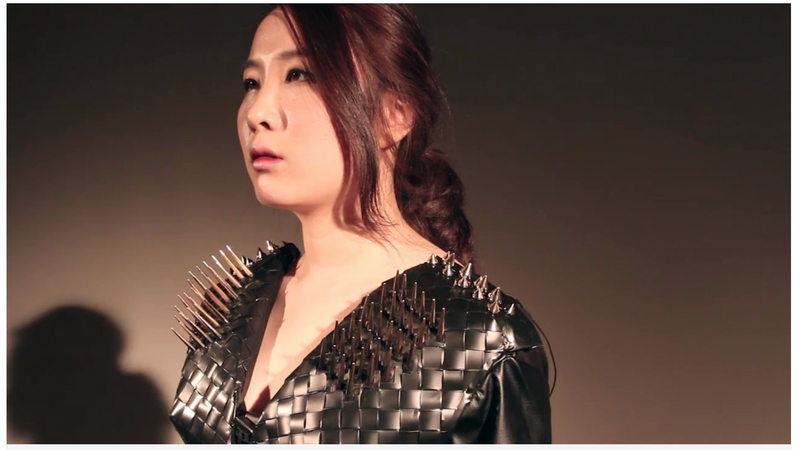 When threatened, such as someone approaching the garment quickly, the spikes located on the front bodice animate and LEDs turn cautionary red. 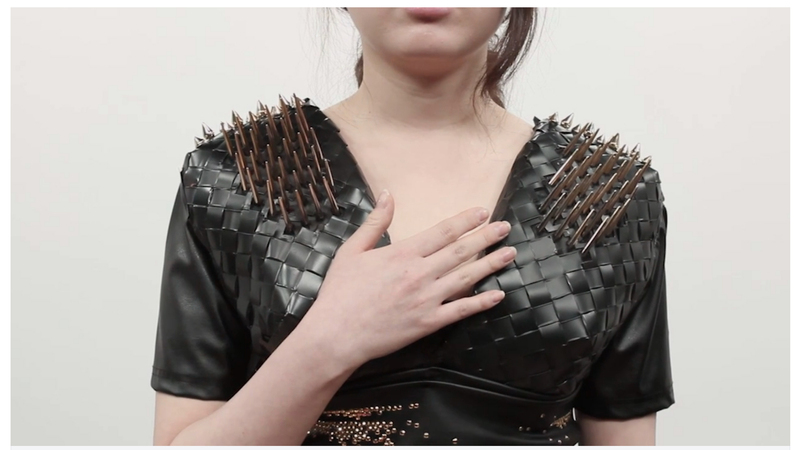 Similar to Wipprecht’s Spider Dress, Lee’s garment protects the body.